Bor experienced decades of civil war until the peace agreement of 2005. Many people then returned to the city in search of family, and many families were reunited. Some children had been orphaned and no extended family could be found – these children were living on the streets. They did not attend school, slept outside and spent most of their time trying to find food. Father Joseph Arou has visited Bor several times in recent years. During these visits Joseph has worked with the local Dean Thomas Agou in building a shelter for some of the orphan children who came to the Church for food. The shelters are built in the Cathedral compound on Church land. 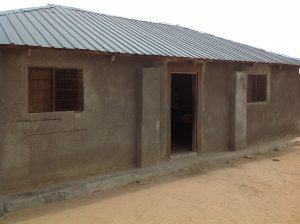 There is now a Church building, several schoolrooms and a dormitory for the children. We continue to seek to raise funds to build more simple dormitories, to provide more school amenities, and to support the staff and helpers who provide food and clothing for the children. There is no government or non-government organisation supporting these children apart from the small amount of assistance the church is able to offer. The Church is reliant on donations to support the children. A simple dormitory or classroom can be built for as little as $5,000. $4,800 will pay the wages of a teacher or carer for one year. $850 will provide food for one child for a year. $50 will provide one orphan with clothing for a year. We have raised some funds ourselves and have set up a fundraising/coordinating group to publicise the needs of the orphanage and seek funds from other parishes and from the wider community. We are sending money to Bortown to pay for land for the construction of permanent dormitory buildings. 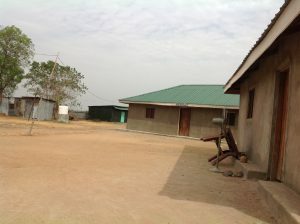 The photos below indicate the basic and rudimentary nature of the buildings at the orphanage. Education in South Sudan is modelled after the educational system of the Republic of Sudan. Primary education consists of eight years, followed by three years of secondary education, and then four years of university instruction; the 8 + 3 + 4 system, in place since 1990. The primary language at all levels is English, as compared to the Republic of Sudan, where the language of instruction is Arabic. There is a severe shortage of English teachers and English-speaking teachers in the scientific and technical fields. Illiteracy rates are high in the country. In 2011, it is estimated that more than eighty percent of the South Sudanese population cannot read or write. The challenges are particularly severe for female children. South Sudan has proportionately fewer girls going to school than any other country in the world. According to UNICEF, fewer than one percent of girls complete primary education. Only one schoolchild in four is a girl and female illiteracy is the highest in the world. Education is a priority for the Southern Sudanese and they are keen to make efforts to improve the education system. As of 1980, South Sudan had approximately 800 primary schools. Many of these schools were established during the Southern Regional administration (1972–81). The Second Sudanese Civil War (1983–2005), destroyed many schools, although the SPLA operated schools in areas under its control. Nevertheless, many teachers and students were among the refugees fleeing the ravages of war in the country at that time. Today many of the schools operate outside in the open, or under trees, due to lack of classrooms. Primary education is free in public schools to South Sudanese citizens between the ages of six and thirteen years. Secondary school has three grades: 9th, 10th and 11th. In secondary school, science subjects are introduced, including chemistry, biology, physics, geography and others. The students ages are about 14 to 18 years, while in secondary school. There is a particularly high drop-out rate in secondary school; due to truancy among boys and pregnancy among girls. After graduation from secondary school, one can pursue further education in either a university or a vocational (technical school). There is a shortage of both, but more so less technical schools than the country needs. Like in most sub-Saharan countries, too much emphasis is placed on acquiring a university education and not enough on obtaining life-sustaining practical skills in a vocational or technical institution. South Sudan needs graduates of technical schools to build and maintain its infrastructure including building roads, houses, water treatment systems and sewage plants as well as computer networks, telephone systems and electricity generating plants to power the entire infrastructure. Maintaining those facilities will also require a lot of trained manpower. As of late 2011, there are not enough technical institutions to train the needed manpower. 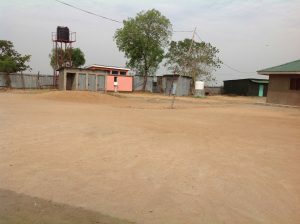 As of July 2011, South Sudan has twelve universities of which seven are public and five are private. Officials estimate that about twenty-five thousand students have registered at the five public universities. It remains to be seen how many students do report to campus, now that all of the countries universities are actually located in South Sudan, and not in Khartoum. The government pays for food and provides housing for students. The Minister for Higher Education, Joseph Ukel, says finding enough space is one challenge the universities face. Another issue is money. Ukel says the South Sudanese Government’s proposed budget for 2011 does not include any money for the universities. Then there is the problem of teachers. Almost seventy-five percent of the lecturers are from Sudan. They are not likely to move to South Sudan to continue teaching in their former universities, now that South Sudan has seceded from Sudan.